What’s the single greatest indication of how you perform when reaching for your dreams? Your beliefs. Not a coaching call goes by without a deep dive, or head on collision, into limiting beliefs. We all know what they are and how profoundly they shape our thoughts, actions, and realities. We can talk for hours about how hard it is to identify and change our stifling beliefs, but your time, dear sister, is too valuable. In this show, we’re breaking down why you think the thoughts you think and how to change your mind. 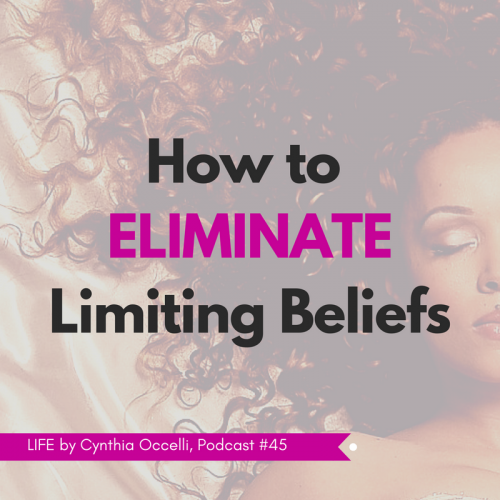 I’ll explain how limiting beliefs are created and how they can sabotage you in the most important ways. From casual friendships to professional achievements, the way you think influences your level of success and the way you feel about your life. The great news is science has conclusively proven that you can change nearly everything about you, your intelligence, level of happiness, habits, and expertise in a given area. Learn how to replace limiting beliefs with empowered beliefs and, if you aren’t sure what your limiting beliefs are, I’ll teach you an easy exercise to discover them, too. Don’t waste another moment thinking other people’s untruths about you. It’s time to start thinking and believing for yourself! I think that message in your podcast was for me. I am that seed. I am being unravelled and it’s incredibly painful. I’m hanging onto the truth that inside me is the tree I will become. Thank you for your heart for others.